Stephen Amell & Emily Bett Rickards. . Wallpaper and background images in the Oliver & Felicity club tagged: arrow arrow cw emily bett rickards stephen amell. 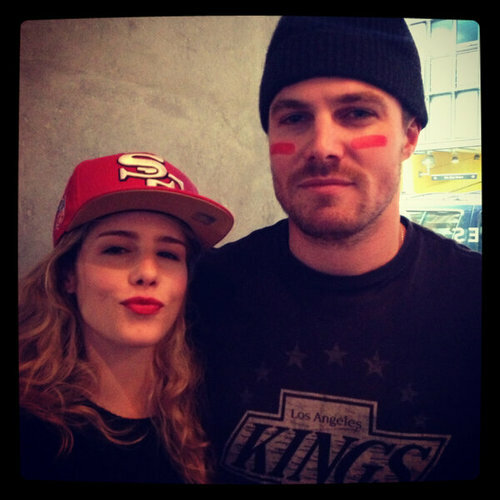 This Oliver & Felicity photo might contain cap and herufi kubwa.